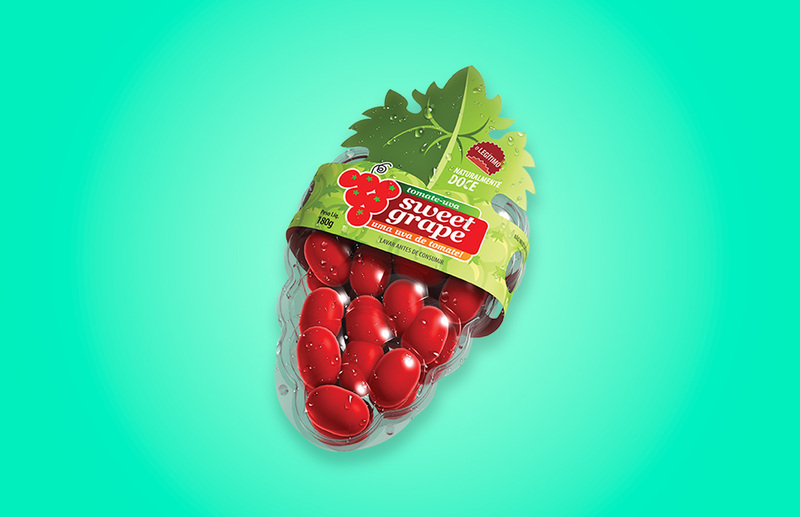 Packaging design for tomatoes, advertising campaign and visual identity for Sweet Grape. 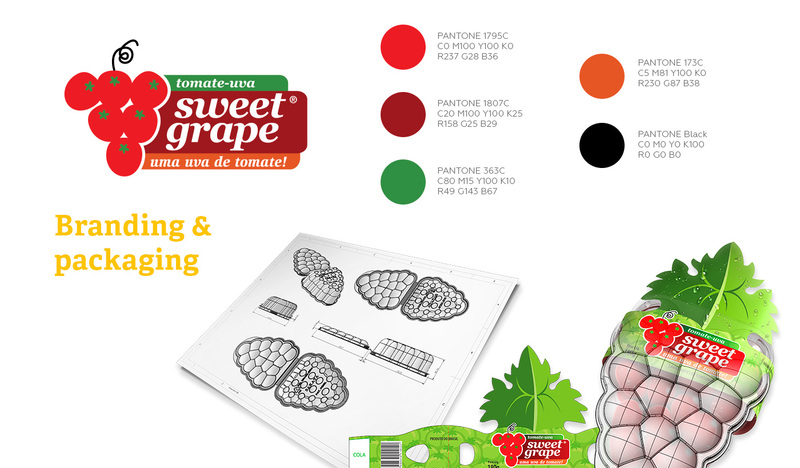 Sales leader in Brazil, Sweet Grape tomatoes are the legitimate grape tomatoes. 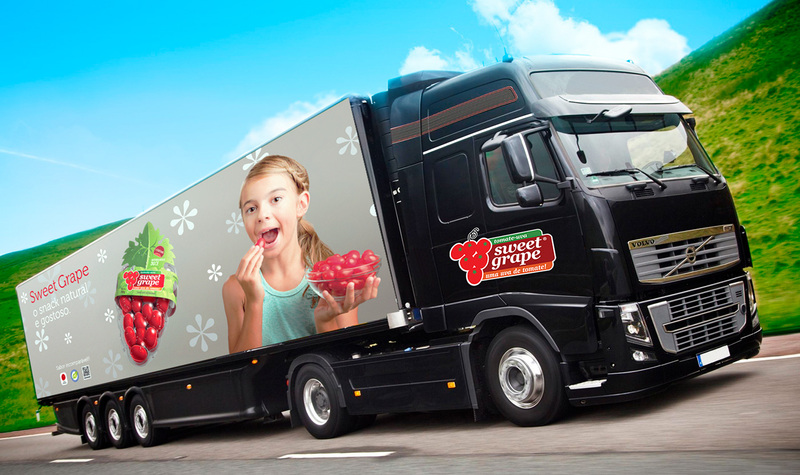 Sweet Grape is the brand for the most juicy and sweet tomatoes in their market segment. It is also a product with higher added value as it is produced in controlled environment. That requires minimun use of pesticides producing healthier tomatoes. Grape tomatoes have an elongated form and sweet taste. The PET package was created in the form of grape bunches, resulting in a strong identity and ease of recognition from consumers. We considered creating the grape bunch form the best strategy for enhancing the distinctive characteristic of these unnusual tomatoes. The project comprised creation of the PET package and graphics, campaign for points of sale, trainning video for sales promoters and a website. 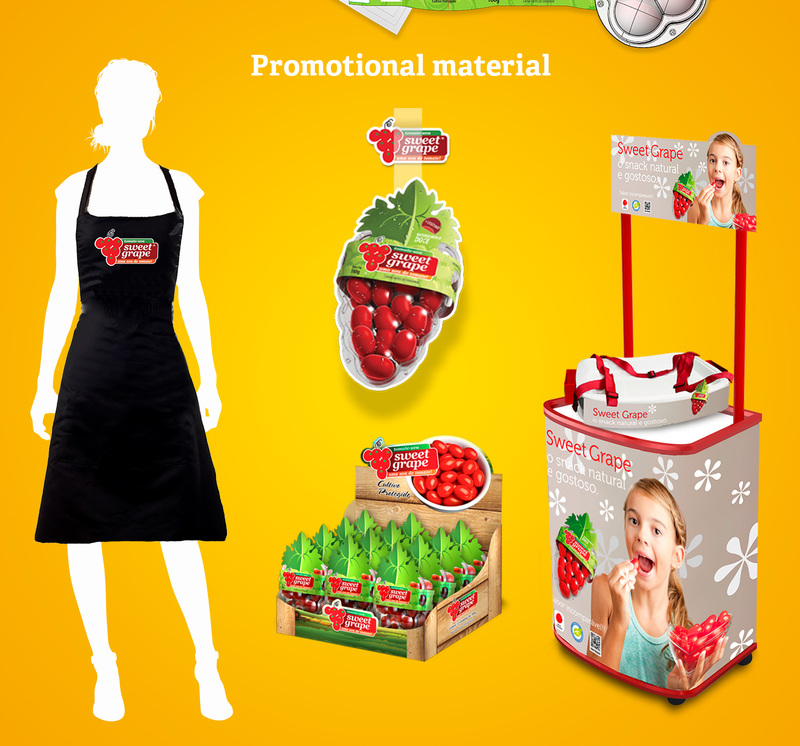 Packages can be mounted in display cases for greater visibility in points of sale, stimulating impulse purchases. Sweet Grape label and packaging are trade marks of Sakata Seeds company. 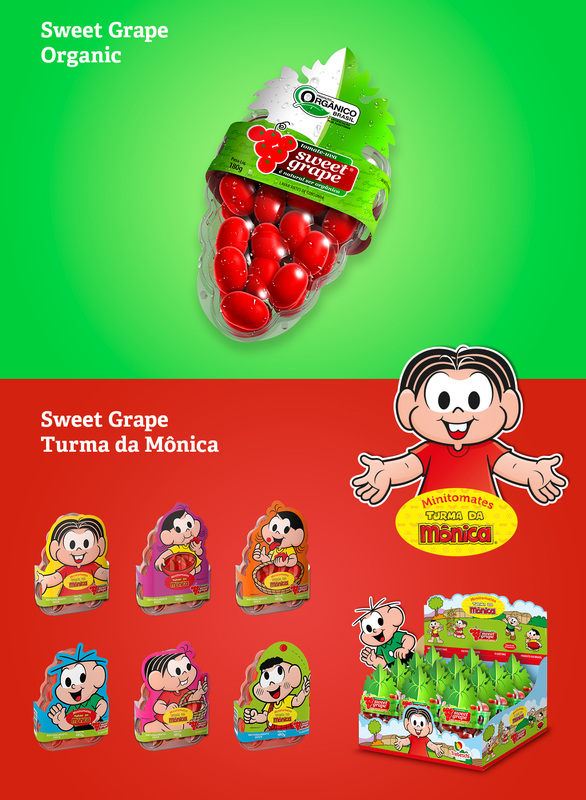 Design of packages for Tomates Sweet Hearts. Design of cardboard tray for Tomates como Antigamente. Package design for lettuce, rocket and leafy greens.